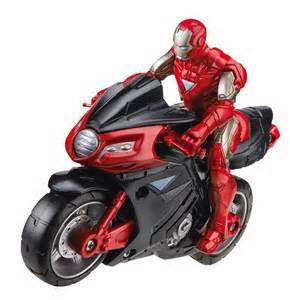 Would the Avengers Need Mexican Insurance with MexicanInsuranceStore.com for a Baja Vacation? Mexican Insurance with MexicanInsuranceStore.com – Would the Avengers Need Mexican Insurance for a Baja Vacation? Can you imagine the headlines if the Avengers decided to take a little break for rest and relaxation in Baja? El Increíble Hulk hace olas grandes en la playa – The Incredible Hulk makes big waves at the beach! El Capitán llega a tiempo en su motocicleta – The Captain arrives on time with his motorcycle. La Viuda Negra discubre el secreto de hacer los mejores tacos de carne asada – The Black Widow discovers the secret of making the best carne asada tacos! We hope Captain America remembers his Mexican insurance with MexicanInsuranceStore.com when he prepares to go. The kind of trouble that follows this crew, after all, may require Mexican insurance services. While you may not be going in quite the same dramatic manner as the Captain, you do want to be prepared for the unexpected. Your mission is to secure reliable and appropriate Mexican Insurance with MexicanInsuranceStore.com so that you are covered if any aliens, Hydra agents or other evil forces come against you. Of course, you are more apt to encounter big tumbleweeds, potholes or speed bumps that are inconveniently placed. However, an accidental encounter could take your bike out of commission and leave you holding the bill and facing the authorities, especially if you don’t have Mexican Insurance with MexicanInsuranceStore.com. While the Black Widow may have trouble finding an agent to translate from Spanish to Russian, you will be relieved to know that your contact with Mexican insurance services can be handled in English. Bilingual agents are available for both Spanish and English communications to ensure that you can clearly understand directions if you do need to submit a claim. They also provide information and assistance if you have a roadside emergency, an issue that may be more likely to arise than an accident. We don’t recommend that you follow the Avengers’ typical modus operandi of off-road activity as this could result in denial of claims and loss of your coverage. However, you will find that there are many fantastic beaches and sites available from passable roads. You may not make a splash quite as big as that of the Hulk, but we are confident that your vacation will be memorable. Mexican Insurance with MexicanInsuranceStore.com comes with FREE Roadside Assistance throughout Mexico at no additional premium.